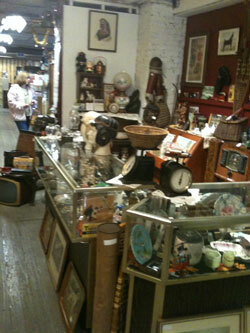 Welcome to Burgess Antique Center. As a vendor you will enjoy ‘peace of mind’ knowing that our friendly and knowledgeable staff works hard for you! We offer access to your sales via the internet as well as a print-out of your total sales every 2 weeks. Advertising is very important so we participate actively in advertising campaigns. We have motion detectors and security cameras on site. Vendors are encouraged to be available but not required to work at the store. Booth sizes vary to meet your needs and we rent them month-to-month, no lengthy contract is required. We will gladly work with you to make your experience here a great one!